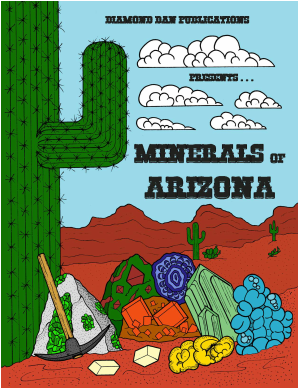 Click the image below to download a PDF version of "Minerals of Arizona." You can download this book for personal use only. If you need to make multiple copies for a classroom or group activity, please contact Diamond Dan Publications at powellpublicationsgroup@gmail.com for permission. This publication cannot be reproduced, in part or in whole, for commercial use.